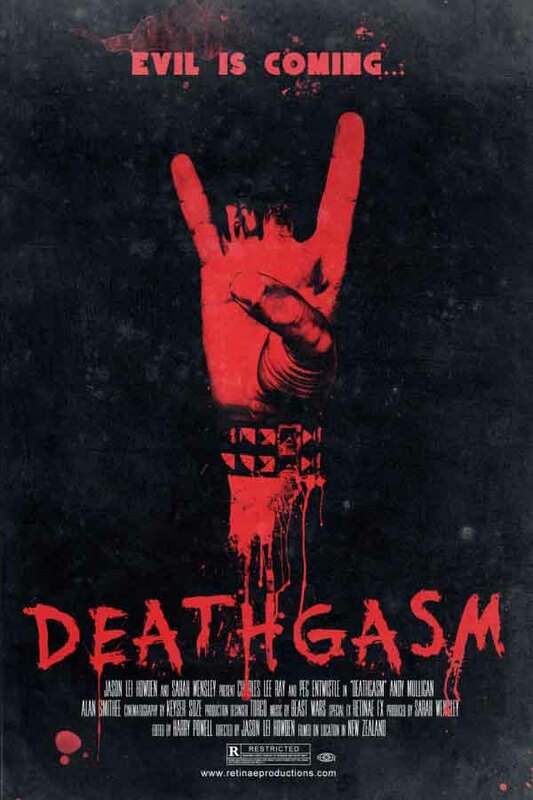 You may have read our previous coverage of Deathgasm, the metal-themed horror film that independent producer Jason Lei Howden of New Zealand intends to make. The film, which focuses on the story of two teenage boys who unwittingly summon an ancient evil entity known as The Blind One, will begin shooting in another eight to ten weeks. Deathgasm is able to be produced because its producers won funding from the Make My Horror Movie competition designed to foster higher quality independent horror films. “With some of the most inventive and shocking gore ever captured, Deathgasm will gush bodily fluids, rain limbs and tickle your funny bone, before tearing it out and giving you a stiff beating with it,” the film’s prospectus promised. Funds in the form of $200,000 will enable the filmmakers to create the final movie. The film idea beat out 400 other entries and will be funded by Make My Movie, the NZ Film Commission, MPI Media USA and nzherald.co.nz. Director Jason Lei Howden is currently seeking death metal bands who would be willing to allow their songs to be used on the soundtrack, with a preference for underground acts.